This piece follows on from the previous sheep pieces. 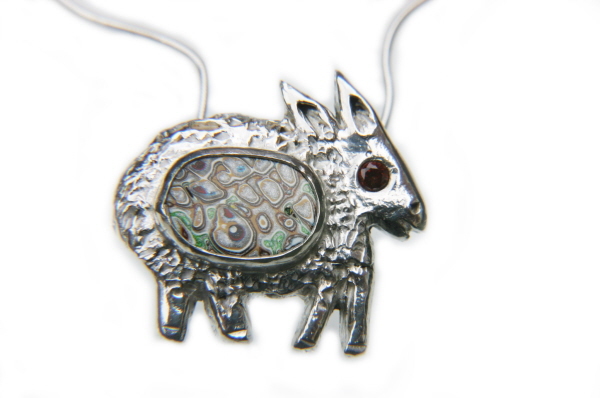 The commissioner already had some sheep jewellery and saw some of the Fordite jewellery and wanted to combine the two. The hardest thing with this pieces was finding a Fordite cabochon that had the appearance of wool.